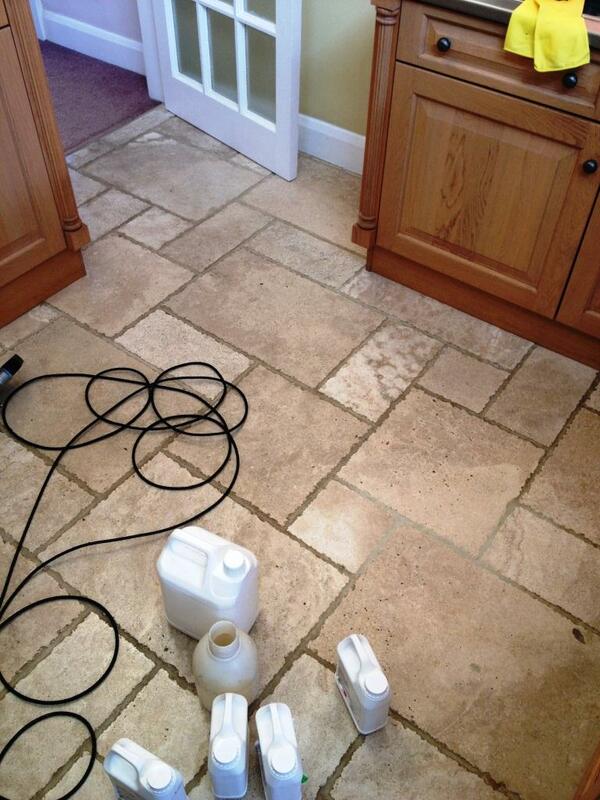 This Tumbled Travertine kitchen floor in Twickenham, Middlesex was in need of a deep clean including stripping out the old sealer and re-sealing to ensure easy maintenance in the future. 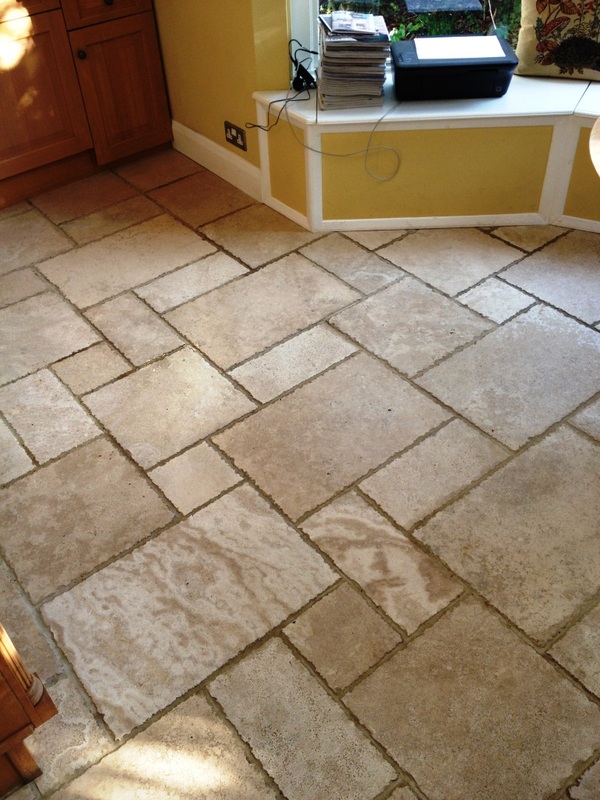 The floor had not been professionally cleaned and re-sealed for over 10 years and being in a high traffic area, the tiles had accumulated a high amount of soil over the years. There were also holes in the Travertine where the filler had broken out. 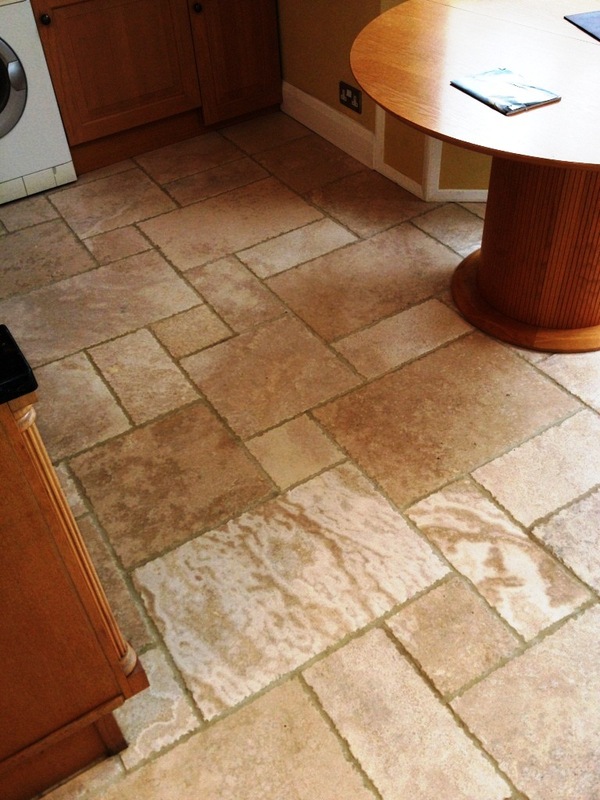 The first job was to scrub a concentrated solution of Tile Doctor Pro-Clean in to the floor using a rotary machine fitted with a scrubbing pad; unlike some acidic cleaners Pro-Clean is a powerful alkaline cleaner that is safe to use on tile and stone. This broke down the soil and released it along with the remaining old sealer which was then pressure rinsed to ensure all of the dirt was removed from the pores. Following the cleaning, I then filled the holes that were visible with flexible filler. The floor was then left fir 24 hours to allow the floor to dry and then sealed by applying two coats of Tile Doctor Colour Grow. This is an impregnating sealer which will repel liquid and soil going forward making it easier to maintain. 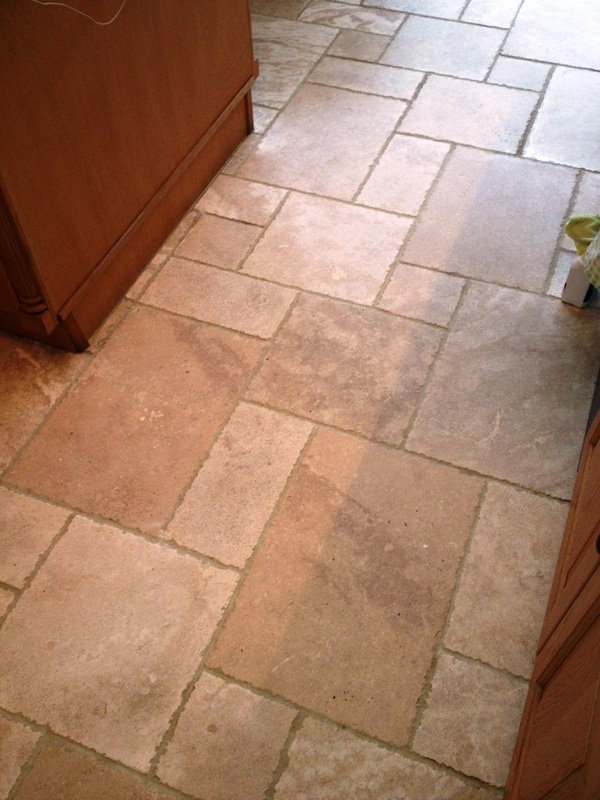 Hopefully you can appreciate from the pictures the difference this has made to the floor; if you live in the Middlesex area and need help with your stone, tile or grout please ask us to pop round for a free quote.